Yoga Quotes – inhale this collection of yoga quotes and exhale all worries. Sweat – Smile – and repeat. 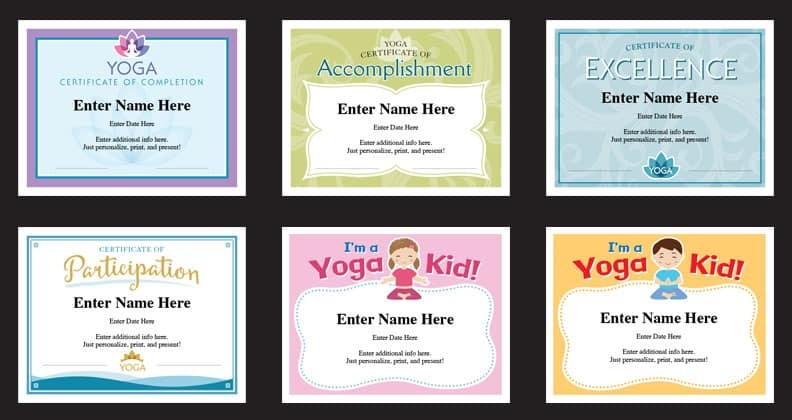 Click on the image above to check out this small pack of yoga certificates.